Well it’s almost the long weekend! Yay! 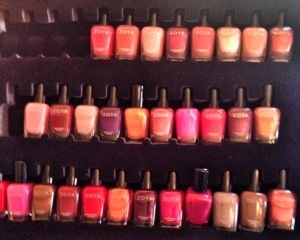 Today I want to tell about a new nail care range from Zoya. I was recently invited to one of the product launches hosted by Isma Theron de Wit (who also by the way is an awesome makeup artist) . I was very pleasantly surprised by this product. As I am very hard wearing when it comes to nail polishes and very few of them actually stay on my nails for more than half a day, this is one of those very products that actually lasts and looks gorgeous. 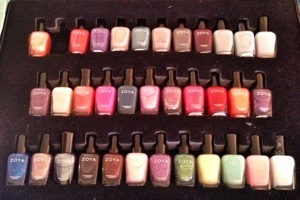 Zoya was created by Ms Zoya Reyzis and her husband afterthought left native Russia in 1979 to make the US their new home. They decided to make a new line of nail treatments after she fell pregnant and showed sings of allergy towards her regular nail products. Zoya obtained her cosmetology license and together with her husband, an advanced chemist they set about creating this new line of long wearing toxin-free polish. Their collection of close to over 500 shades of lacquer is completely free of toluene, formaldehyde, DPB and camphor and formaldehyde resin. These ingredients are found in traditional nail polishes. As this brand was the first to be “big 5 free” you can rest assured that it is also safe for pregnant mums to use. As the lacquers are based on demand, you can be assured that your bottle is fresh and new and has not been mass produced and left on a shelf to try and thicken. The bottles are made of Italian glass and the brushes are Spanish, their products are packed in the US and none of their products are made in China. Not only do they have nail polishes, but they also have lip glosses, lip therapies, lip plumpers, hand and foot treatments and spa treatments. Especially the purple, it’s a gorgeous Matt color and doesn’t chip very easily like most matt colors do. 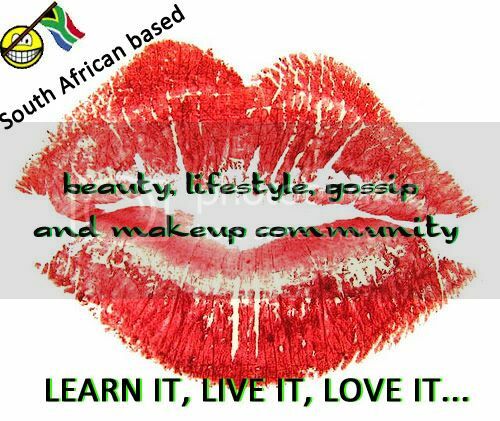 I am really excited to see this product grow in SA and become very popular. Based on their marketing exposure that they have been getting in all the top magazines ( Lucky, Women’s Health, In Style, People, and other blogs) they are really going strong and definitely are not having problems. 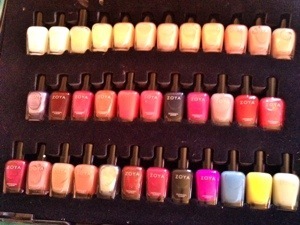 Best of all, Zoya is cruelty free! So go have a look and have a very colorful weekend!